I wish that this book could have been longer because it was very well written and the story was gripping. The plot was amazing because the book started right with action and it was a page turner. 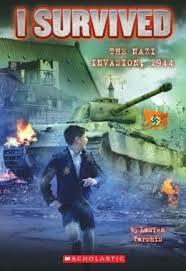 Max, a Jew in the midst of German soldiers has to find a way to escape. When his and his sister’s lives are in danger, he must figure out how to flee. The soldiers roam town looking for Jews, and as soon as any are found, they are shot dead. Can Max save his life, his sister’s life, and find a way to fight for Jews?